The 2018 Beijing Humboldt Forum (BHF) was held at the University of International Business and Economics (UIBE) from Sept. 15 to 16, 2018. Under a theme of "Green Economy, Cultural Heritage, Education 2035", the forum aims to protect cultural heritage, support the green economy and become an intercultural regional meeting. Jiang Qingzhe, party chief of UIBE said that, with the vision of green, low-carbon and sustainable development for the global economy, it was highly significant to explore the topic of cultural heritage and the Education 2035 concept now. 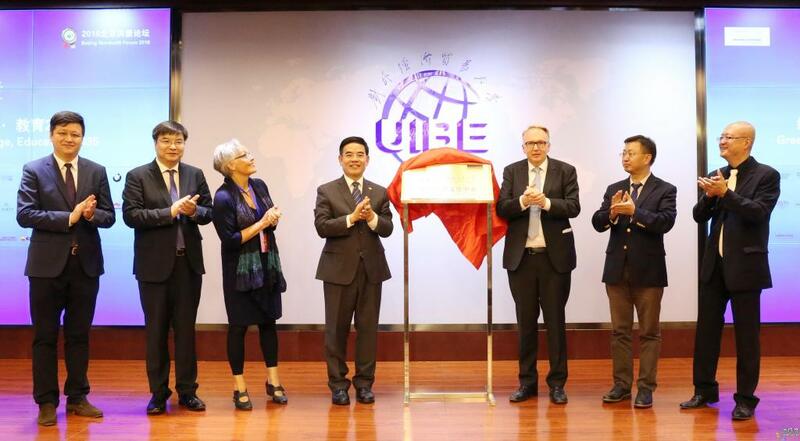 Austria's Ambassador to China Friedrich Stift was appointed as Honorary Professor and Co-Director of Austrian Cultural Center at the UIBE by the party chief of the university. Jiang also appointed Professor Karsten Engel, executive vice president at Rolls-Royce Power Systems, as the member of the BHF Developing Committee. 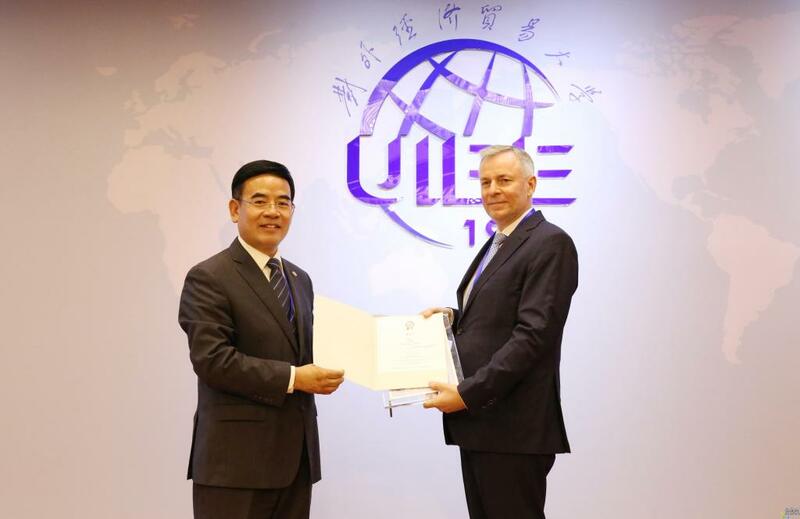 Thomas Kohl, director at Centre for European Economic Research, was appointed Guest Professor of UIBE by Jiang. 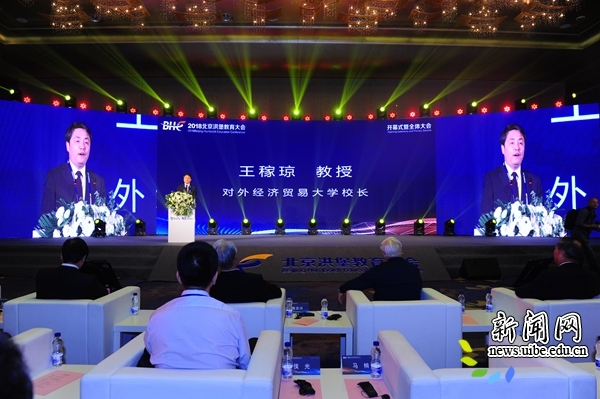 Jiang Qingzhe, together with Jens Hofmann, counselor for science and technology at the Embassy of Germany in China, inaugurated the Sino-German Center for Trade and Culture. 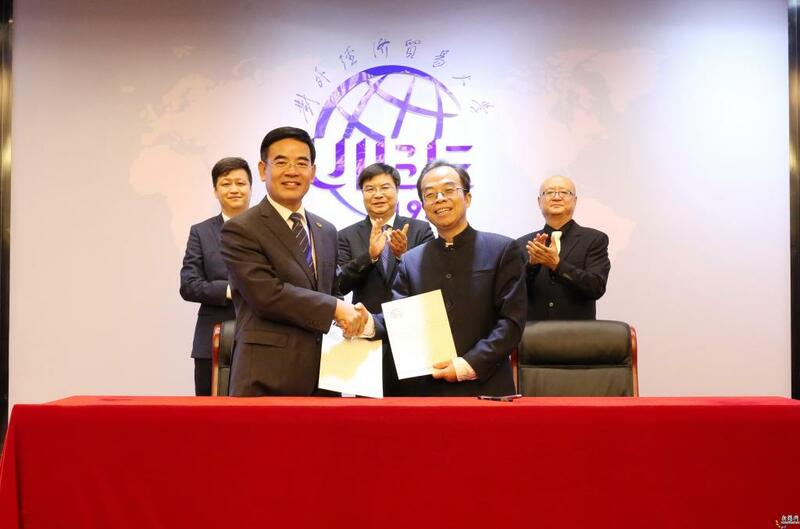 Jiang Qingzhe and Professor Huang Ping, director general of the Institute of European Studies of Chinese Academy of Social Sciences, jointly signed a cooperation agreement between the university and the institute. Jiang was also appointed as the chairman of the Academic Committee of the BHF by Professor Ralf Wehrspohn, representative of Alexander von Humboldt Foundation, also a founding member of the BHF. Professor Martin Carrier from Bielefeld University delivered the annual keynote speech entitled "How does Good Science-Based Advice to Politics Look Like?" 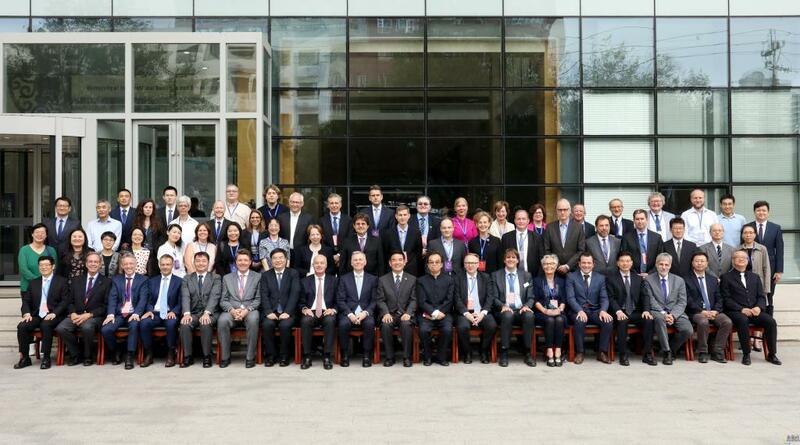 The president of UIBE Wang Jiaqiong attended the 2018 Beijing Humboldt Education Conference of the forum on Sept. 15. He said that enhancing educational cooperation and people-to-people exchanges was the fundamental way forward and an important part of strengthening people-to-people ties in the world and building a community of a shared future for mankind. The two-day forum, organized jointly by the Alexander von Humboldt Foundation and the UIBE, brought together over 500 scholars, experts, government officials and business people from countries like Germany, Austria, America and Japan. Topics discussed in the 25 panels included relations between China and Austria, green energy and the "Belt and Road" Initiative, the low-carbon economy, innovation in environmental policies, the smart city program, social development, cultural heritage, East-West cultural comparisons, professional research on the Korean language, linguistic research and AI, and promotion of the global value chain.